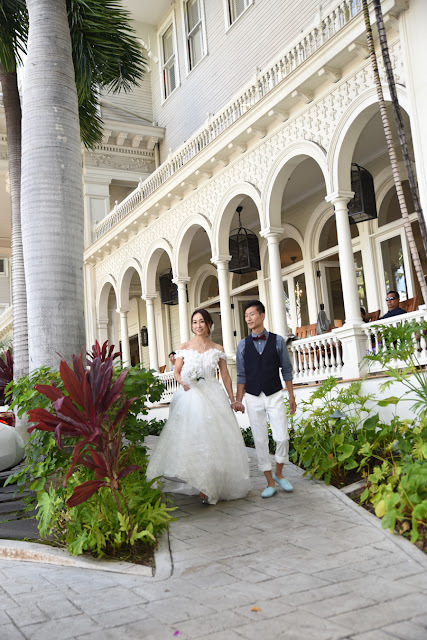 Walk around town in Waikiki with Oahu Photographer Robert Hamilton for a memorable Hawaiian honeymoon you can show off when you get home. Only $100.00 for a half hour photo shoot! 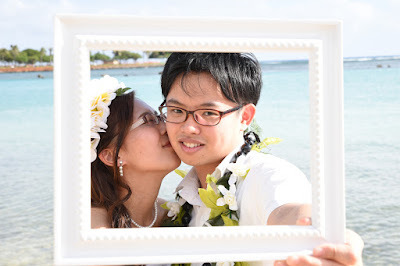 Honeymoon photo shooting at Kaimana Beach on the East end of Waikiki. Soft clouds make it cooler without intense light or shadows. 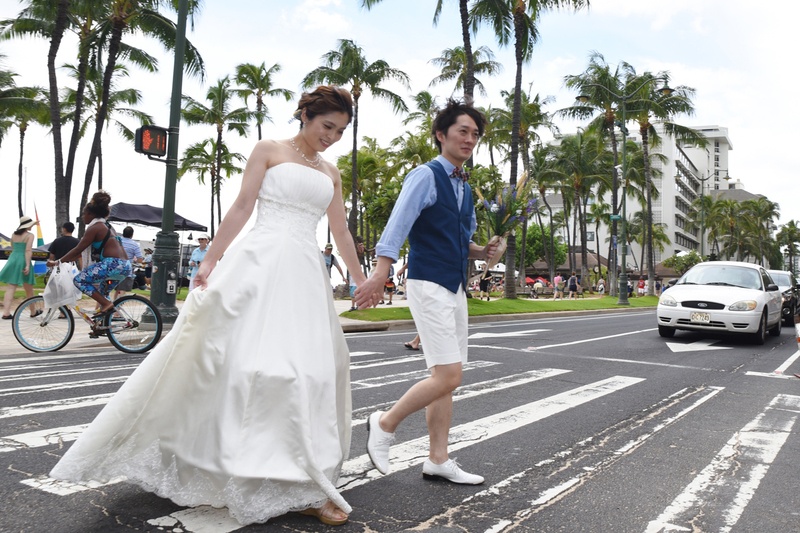 We didn't have anything to do with the weather though. 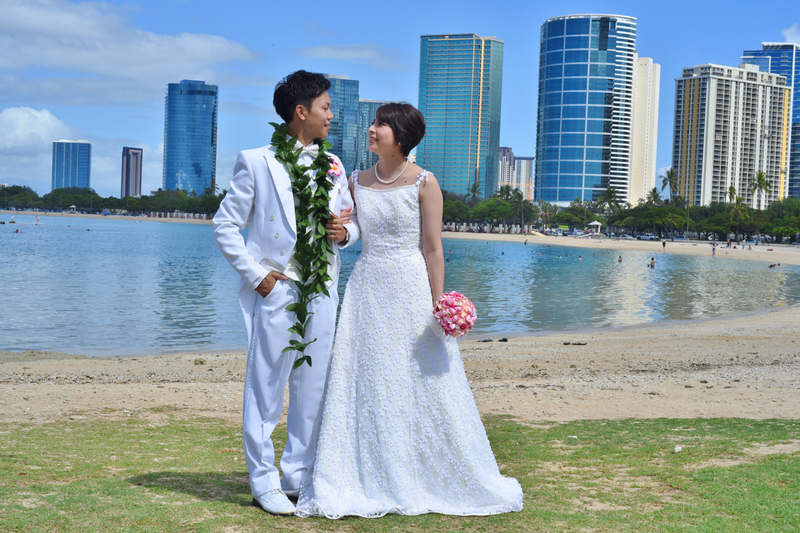 Bride and Groom take a walk at Ala Moana Beach Park. Lots of walking at Magic Island, from the beach through the park to the Diamond Head and Waikiki view on the opposite side. Love these orange flowers. I like to get a photo when their blooming because they're seasonal. 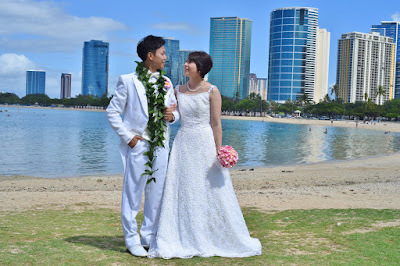 Honolulu Wedding photography by Robert Hamilton. 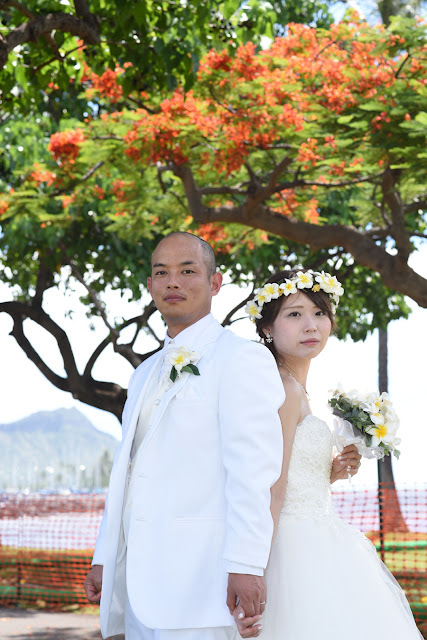 Orange tree at Magic Island only blooms in season. 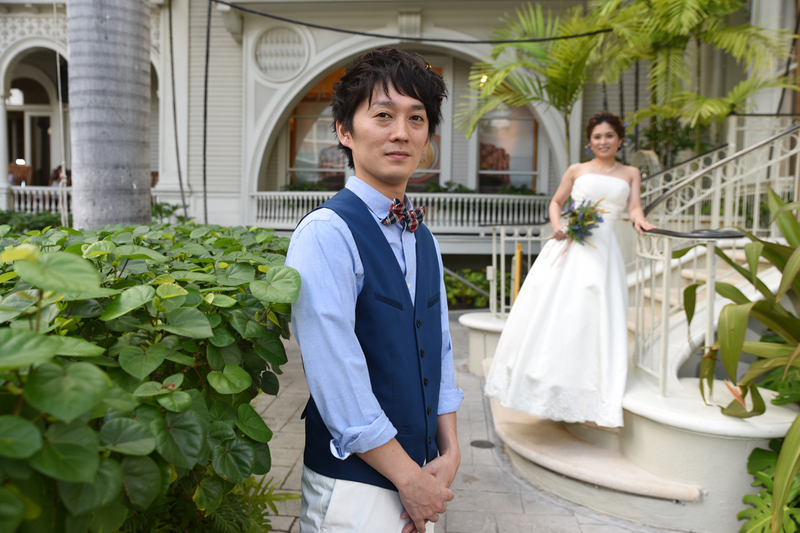 Lucky when the flowers are in bloom. 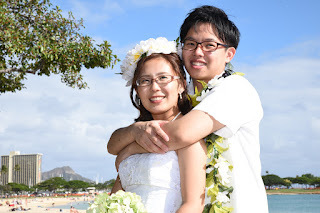 Wonderful tropical scenery in Oahu for Hawaii wedding photos. How many different ways can you carry the Bride? Here are at least three. 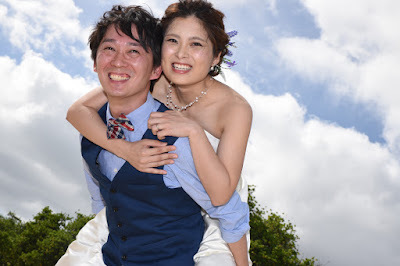 Don't forget to celebrate your marriage with a good jump! 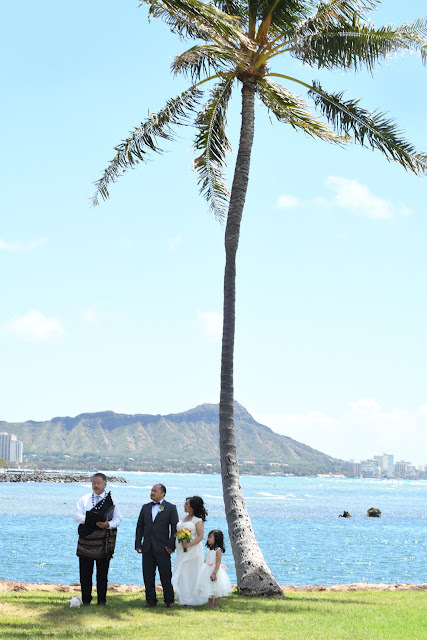 Waikiki Weddings by Bridal Dream Hawaii, 808-772-1140. 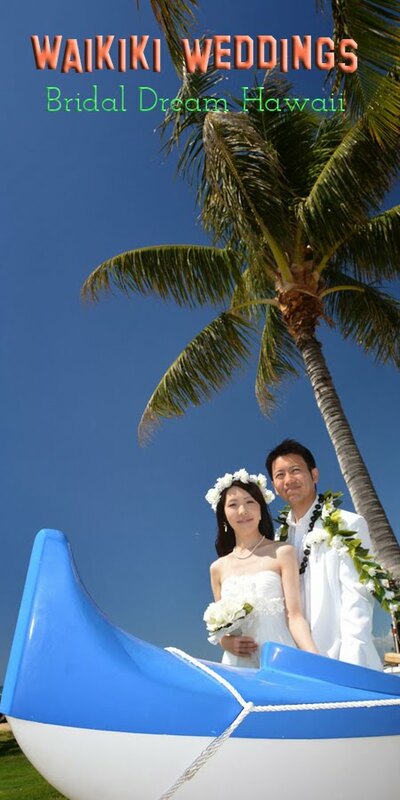 Duke Kahanamoku Statue is a famous landmark in Waikiki. Nice spot to stop for a souvenir honeymoon photo. Japanese couples seem to like photos crossing the street in a crosswalk. 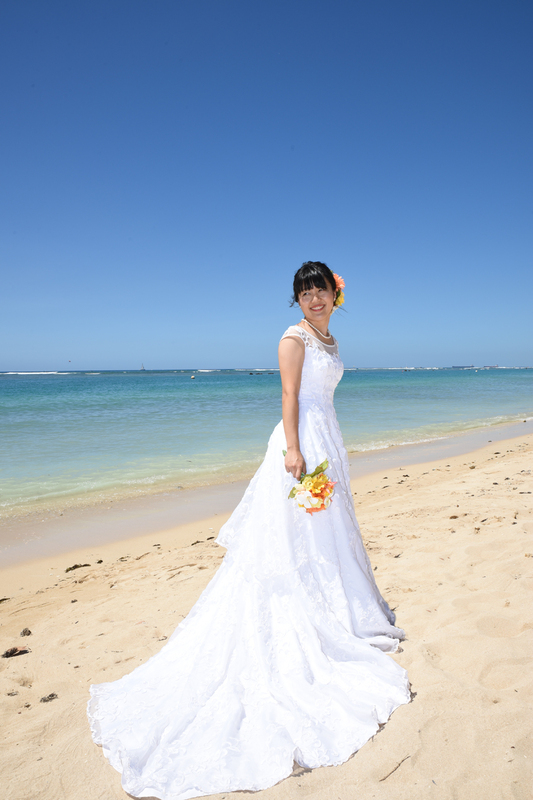 I kinda like it myself. Moana Surfrider is one of those "must visit" spots in Waikiki Town. 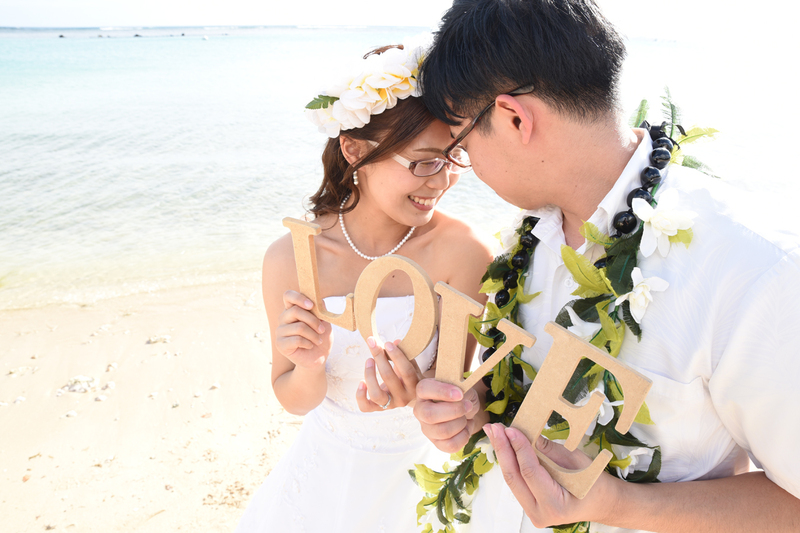 Especially if you're taking photos. 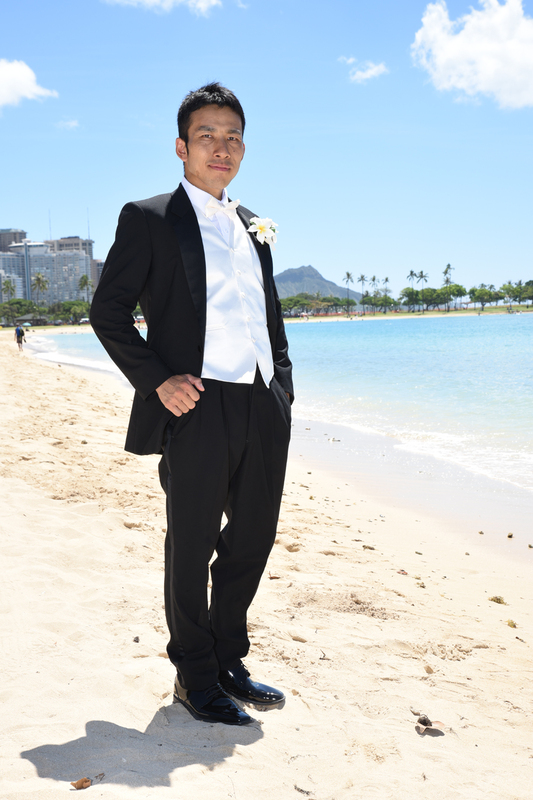 Need a wedding dress and tuxedo for your Waikiki Beach Wedding in Hawaii? 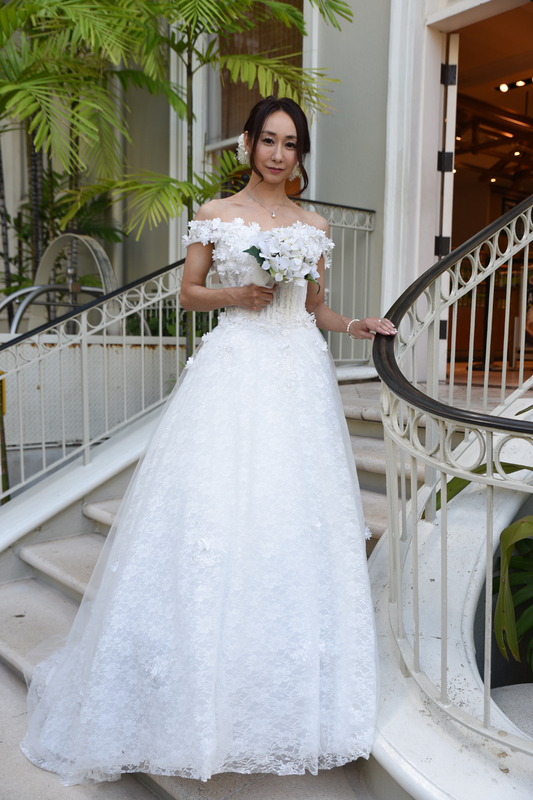 Bridal Dream has you covered. 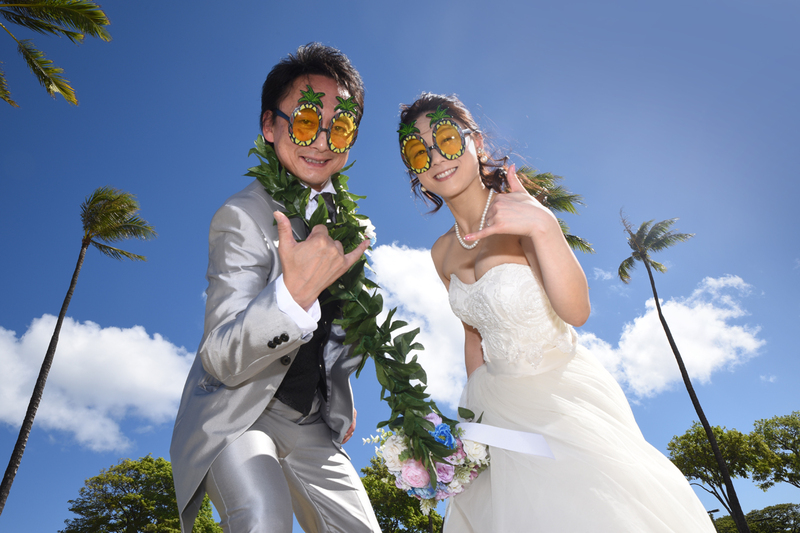 Let us know what day you'd like to try them on and we'll make your appointment. 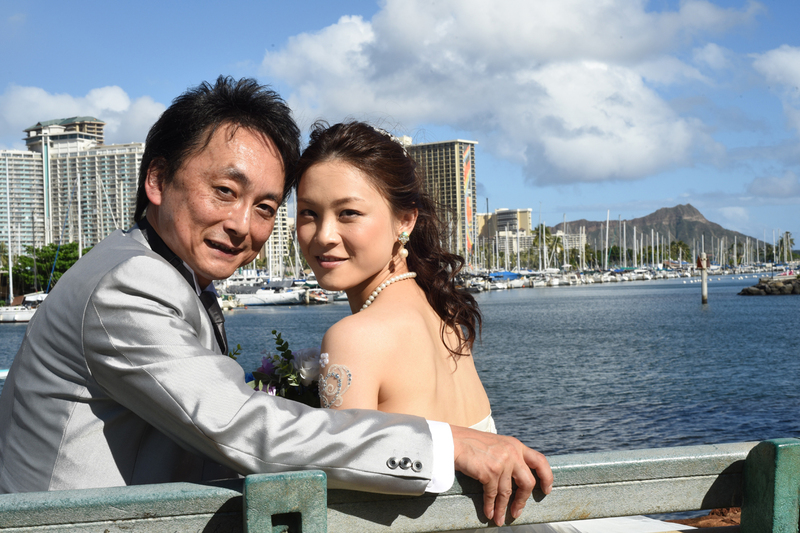 Beautiful view of Waikiki from a Honolulu park bench with Yoshinori & Yuka. 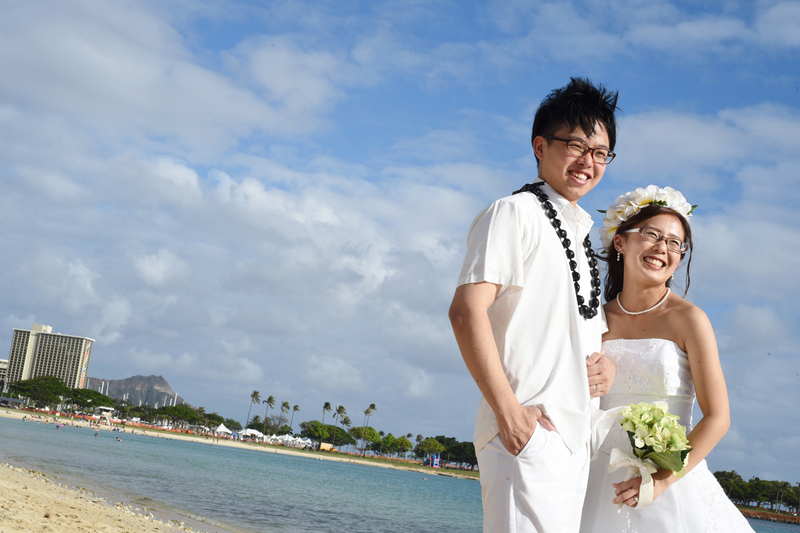 Relaxing honeymoon at Magic Island inside Ala Moana Beach Park. Fun in the sun with Pineapple Sunglasses! 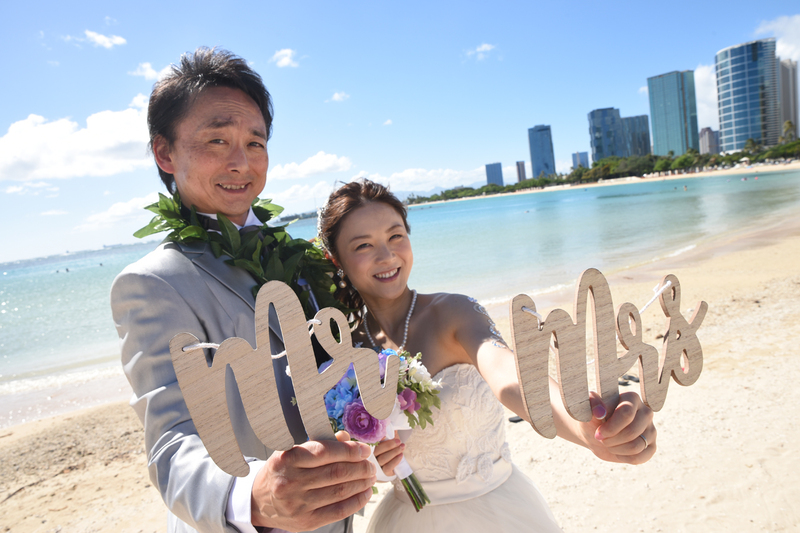 The future is looking bright for happy couple Takuya and Mizuki. 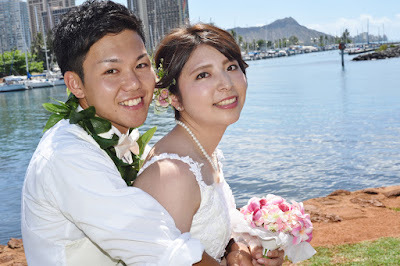 Happy you came to Honolulu for your honeymoon. 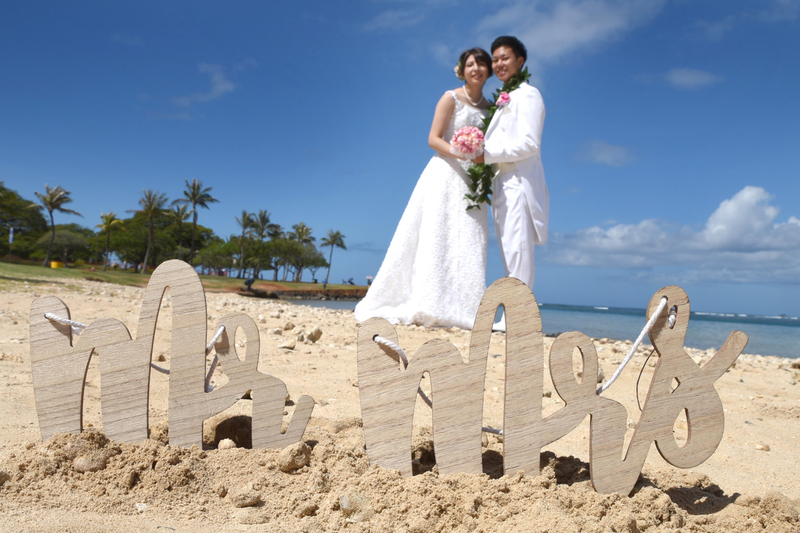 May your Hawaii photos be lifelong treasures to share with family and friends. 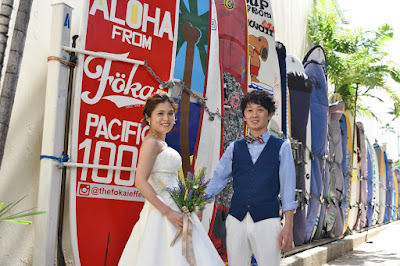 What an awesome couple with an upbeat attitude regardless of the weather. 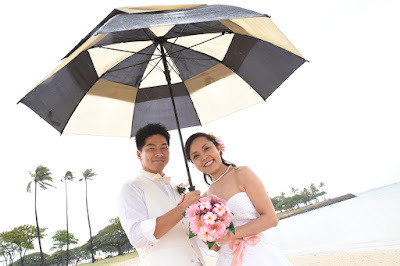 That's how you can have great wedding photos even on a rainy day. 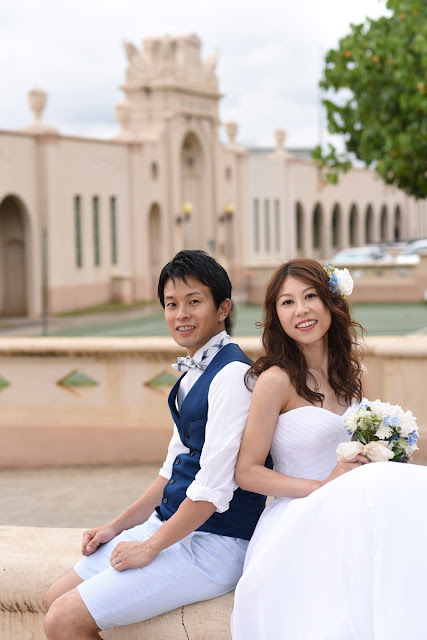 More beautiful photos at their St. Clements Wedding. 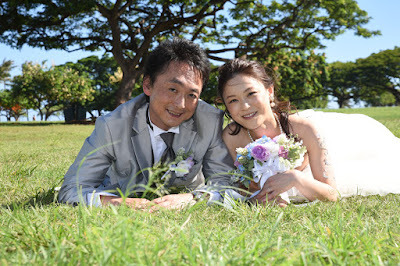 Bride and Groom from Japan have a nice time at Magic Island for their Hawaiian wedding photos in Honolulu. 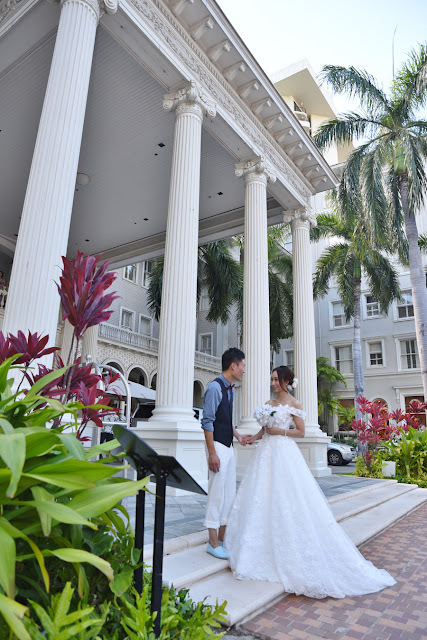 We're happy to be of service! 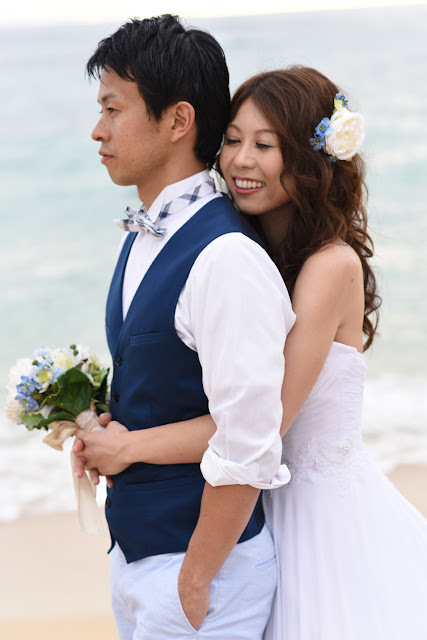 Carry the Bride, a shot you don't want to leave out!